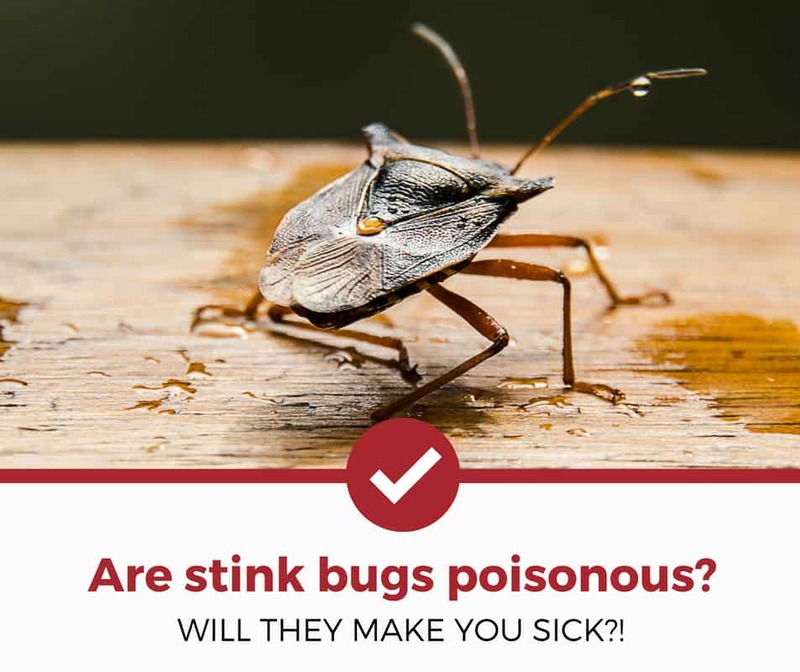 If you've got a stink bug problem in your home, you're probably wondering whether this "stink" of theirs can make you or your pets sick. What's inside this chemical spray, and is it poisonous? Will these little brown bugs cause any illness for you and your family? We're here to help you out. Keep reading below to find out more information! What Are Stink Bugs Actually Spraying Out? First things first: what are stink bugs actually spraying out? Well, there are a couple of different pheromones these insects use to attract mates, alert other stink bugs to suitable areas for shelter, and ward off predators. This chemical is the smelliest of them all, and humans encounter this one more often than not. When stink bugs find a large portion of food or a suitable place to seek refuge for the long, brutal winter, they release what's known as the aggregation pheromone. This chemical triggers a signal to nearby stink bugs to come closer and check out what the original stink bug found; be it a food supply or a shelter. This actually doesn't stink; this chemical is separate from the stink bugs' defense mechanism. Read More: Why do stink bugs stink? Read More: How to get rid of stink bugs? Another of the stink bug's secretions is an attractant pheromone in order to locate a possible mate. What is interesting about the stink bug is that the usual male-to-female order of things applies, but this isn't the only configuration that's attracted to the pheromone. Other males, nymphs, and sometimes even other species of stink bugs have sometimes responded to these pheromones! Normally, these chemicals don't have that much of a smelly scent to humans, just other insects. When stink bugs were threatened, they release a chemical made up of alkanes, aldehydes, and esters. What this means for those of us who aren't scientists: stink bugs emit an odor that's built from chemicals commonly found in cilantro. Many people liken the stink of a stink bug to high-powered cilantro, while some others compare it to the spray of a skunk. Others, still, place the stench somewhere in between the two. When a stink bug feels endangered, it squeezes out a spray of this chemical in order to repel the predator. This is what makes stink bugs "stink" so badly—their secretion of a foul odor is all in the hope that the predator will retreat. So, will these secretions hurt you? What if your dog or cat happens to swallow a stink bug whole? What are the risks involved if stink bugs decide to overwinter in your home?! If you have the misfortune of staining your hands with a stink bug's smelly parting gift—its defense secretion—have no fear. This chemical isn't poisonous at all, just incredibly unpleasant-smelling. You'll have a hard time washing it off your hands, but it definitely won't make you sick. Well...perhaps the smell could make your stomach turn. Let's say, for instance, that your dog or cat eats a stink bug by accident. Should you be concerned? Well, your furry friend may have any interesting time digesting this foreign food item, but that's all. Stink bugs won't cause any sort of illness in your pet, so no frenzied trips to the vet are necessary! Okay, so stink bugs aren't "poisonous" but do they pose any threat at all to a normal homeowner? Well, unless you're a farmer or someone who likes to maintain a healthy gardening habit, the answer is no. Stink bugs feed on various vegetable, fruit, and grain crops. They use their needle-like mouths to feed leaving behind a necrotic looking fruit. We do recommend grabbing some kind of repellent or trap to help stop them from spreading. Take a look at the below apple for example of the effect a nasty stink bug can have when left unattended! Despite their smelly reputations, stink bugs are harmless to humans and animals (but not fruit or vegetables). Whether you've got their predator-deterrent goop on your hands or your pet has (unfortunately) taken a big bite out of one of these little guys, they're not going to hurt you. Curious about other stink bug related articles? Check out our other detailed guides to help you deal with your pest problems.